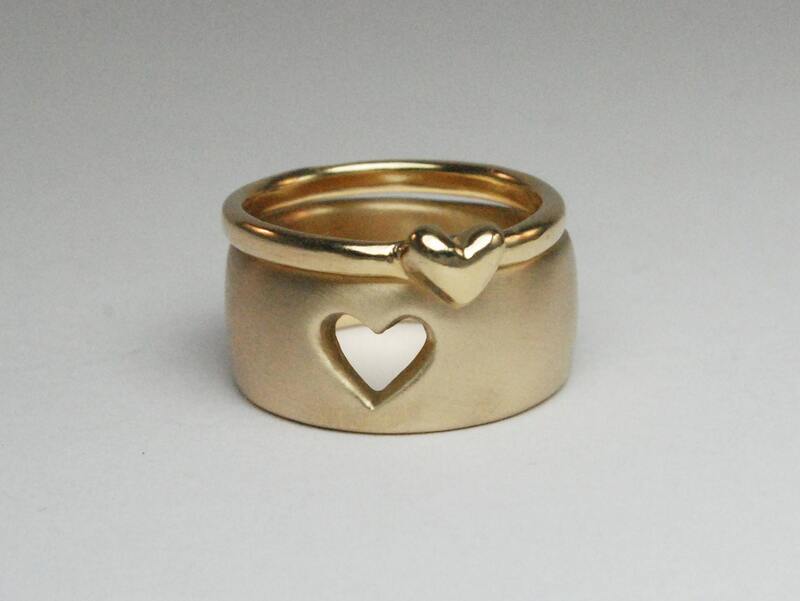 These 2 rings symbolize a profound love. 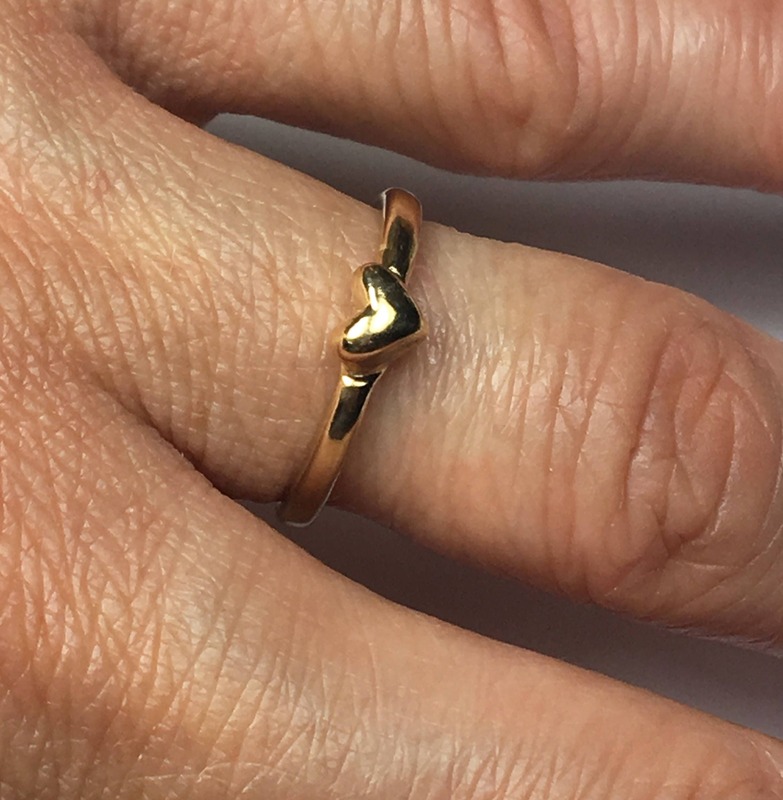 The heart on the small ring fits perfectly into the heart shape cut out of the larger ring but each ring also stands on it's own as an individual piece, which I feel is important. 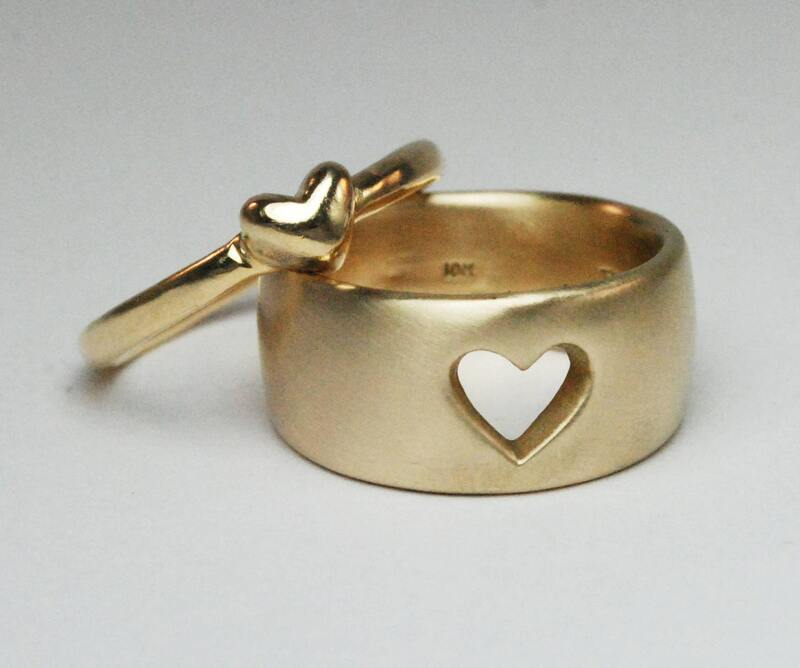 Although I initially made this set as Mother /Daughter rings for a family friend, these rings can also be worn by any 2 people who love each other deeply -siblings, best friends, lovers, a married couple. Love is the only necessary component. 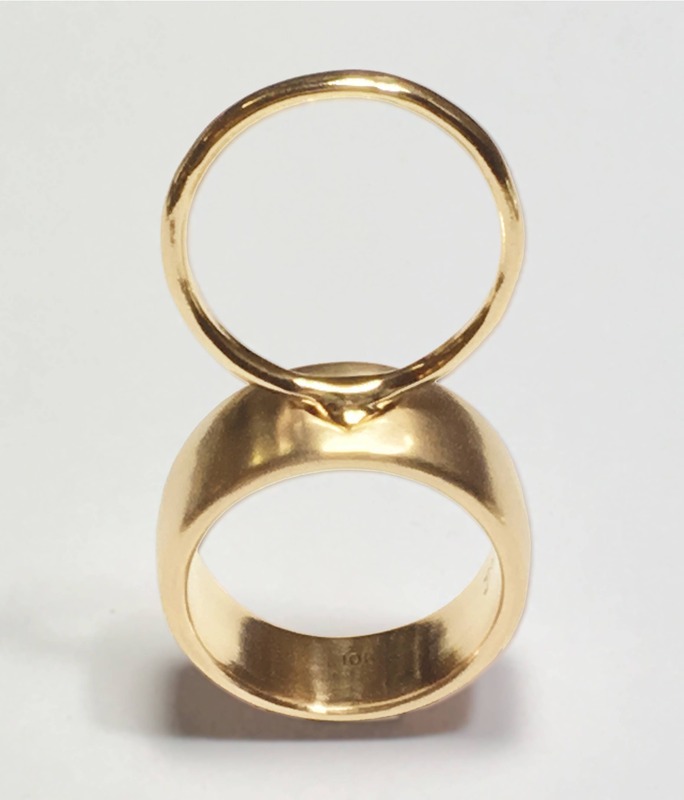 Cast solid in 10k Yellow Gold, the larger ring is done with a satin finish and the smaller ring is highly polished. PLEASE NOTE, LISTED PRICE IS FOR 1 PAIR OF RINGS: 1 WIDE BAND WITH HEART SHAPE CUT OUT AND 1 THIN BAND WITH HEART SHAPE ATTACHED TO BAND. These are priced in general size ranges via this listing. Please use the larger of the 2 ring sizes to determine ring size range choice. 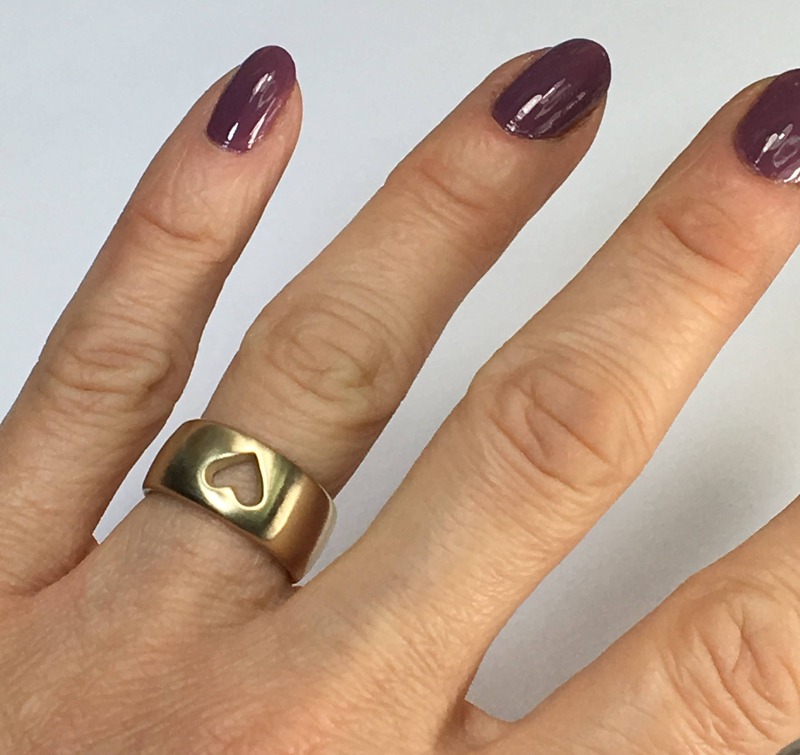 PLEASE SPECIFY EXACT US RING SIZE FOR EACH RING IN THE "NOTES" AT CHECKOUT (ex: wide band ring US size 7, thin band ring US size 6). I can make any sizes, including quarter sizes, between US sizes 4.5-8.5. Please contact me if you are in treated in having these made in a higher karat of gold.